VIPAccessEXCLUSIVE: Mace Coronel Interview With Alexisjoyvipaccess At The Denim, Diamonds & Stars Event! All you need to do is hear the name “Mace Coronel” and a big smile instantaneously pops up on your face. Mace Coronel is truly one of the most talented actors on this planet. We’ve seen the exceptional Mace Coronel exhibit his talent in fan-favorite projects including in Nickelodeon’s hit show, Nicky, Ricky, Dicky & Dawn, Santa Hunters, Nickelodeon’s Sizzling Summer Canp Special, and many others. In every project that Mace Coronel works on, he always showcases his indescribable talent. Mace Coronel has such a charming personality that captivates all viewers. He recently announced that he is moving on to other endeavors and we know that he will continue to blow us all away with his spectacular, acting gift. In fact, Mace Coronel recently worked on an exciting, short film and we are super excited to see this phenomenal actor in the movie. Mace Coronel is truly a brilliant actor and we know that he will continue to have a very successful career in the entertainment world. I, Alexisjoyvipaccess had a terrific time covering the Denim, Diamonds & Stars event and had an excellent time catching up with and interviewing the remarkable Mace Coronel again at the event. Mace Coronel dished exclusively to Alexisjoyvipaccess all about what advice he would give to fans on how they can give back to others, what other awesome projects he is working on that fans can stay tuned for, and so much more only in our VIPAccessEXCLUSIVE updated interview. Mace Coronel even sent out an amazing message to all of his fans – hear what he had to say in our VIPAccessEXCLUSIVE updated interview below. Thanks for another fun interview, Mace! Check out my VIPAccessEXCLUSIVE updated interview with the outstanding Mace Coronel at the Denim, Diamonds & Stars event below! 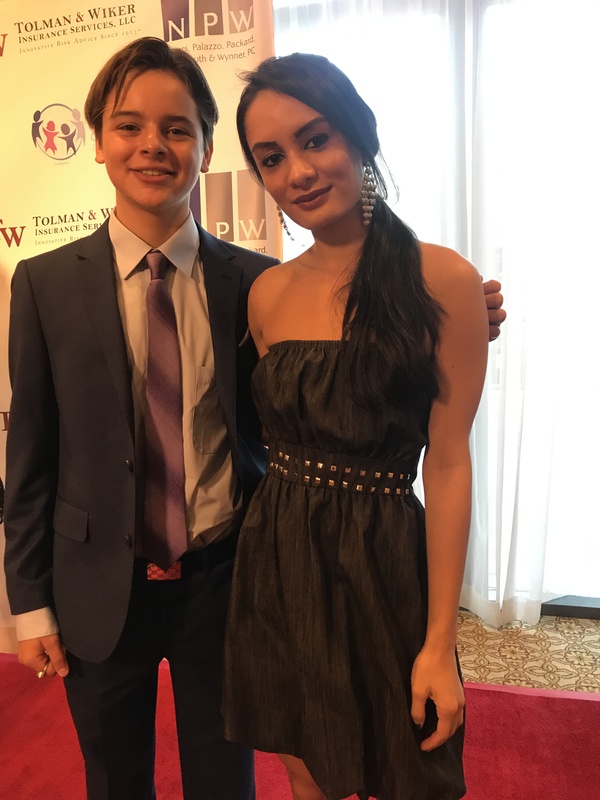 Previous VIPAccessEXCLUSIVE: Aidan Gallagher And Parker Hupf Interview With Alexisjoyvipaccess At The Denim, Diamonds & Stars Event! Next VIPAccessEXCLUSIVE: Sloane Siegel And Ainsley Ross Interview With Alexisjoyvipaccess At The Denim, Diamonds & Stars Event!